The future’s here, and the future’s virtual. As marketing campaigns across the world become bigger, better and brighter, one technique in particular is taking centre-stage. Virtual realty marketing, the posibilities are endless. Virtual reality – in which a headset immerses the user in a computer-generated, 3D world – is proving to be one of the most effective marketing techniques available, and is being used across the industries, from real estate to footwear. The timing couldn’t be better for virtual reality; with Pokémon Go putting augmented reality on the map, consumers are becoming more open-minded to virtual reality. Marketing companies, in turn, are understanding that virtual reality provides a realistic and extremely engaging way to interact with consumers, and are realising the myriad possibilities it offers. In a recent survey by business intelligence company Greenlight VR, 71% of respondents said they considered brands who worked with virtual reality to be forward-thinking and modern. Around 53% of people said they’d buy goods or services from companies engaged in virtual-reality experiences. That’s pretty impressive, and proves that the public’s perception of virtual reality is a positive one. Basically, the world is ready for virtual-reality marketing. Virtual reality marketing, the full marketing package. 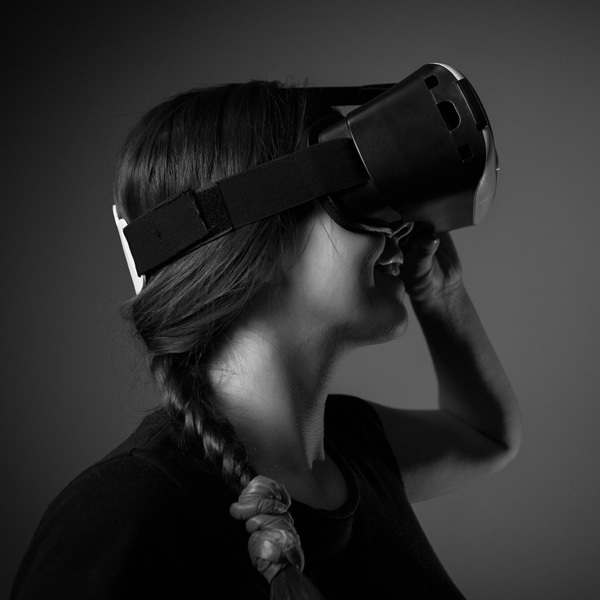 Virtual-reality technology such as Oculus enables consumers to build relationships with brands on a much deeper level than previously experienced. When done well, virtual-reality marketing can deliver deeply immersive experiences and messages, without distractions from the outside world. As marketing techniques go, virtual reality offers the full package. Ideal for the construction and property development industries, virtual reality marketing enables clients to take tours of display homes of off-the-plan apartments before construction has begun. The possibilities this offers are endless, as it provides the client with full control over the process, and gives them the opportunity to make more informed decisions. Using an Oculus headset inside a specially made booth, Marriott created a virtual-reality ‘teleporter’ for users. This fully immersive 4D experience included mist and warm air to create the illusion of being on an exotic beach holiday. To launch their new hiking boot, Merrel created a virtual mountain hike called Trailscape. Users explored the mountainside, crossed rope walkways and wooden planks, and experienced the perils of mountain hiking. The Tom’s shoe store in California features a virtual-reality chair, in which users are transported to a remote village in Peru, where the local children are being presented with Tom’s shoes, in a highly emotive use of virtual reality. Volvo were one of the first car manufacturers to offer users the chance to test drive using virtual reality. To support the launch of their XC90 SUV, Volvo created a test drive through the countryside. To launch its new season of Game of Thrones, HBO created a 4D virtual-reality experience called Ascend the Wall. Users entered an elevator that featured blasting cool air and physical rumbling, creating the feeling they were being hoisted to the top of the wall at Castle Black. There’s no doubt that brands who incorporate virtual reality marketing into their mix – even at its most basic – are at the forefront of the industry, and have the opportunity to convey their message in the most interactive, immersive, and unforgettable way possible.